Rep. Cathy McMorris Rodgers has spoken in opposition to Trump's latest trade moves — but Lisa Brown (above) argues that the congresswoman is unlikely to actually vote for legislation to constrain him. 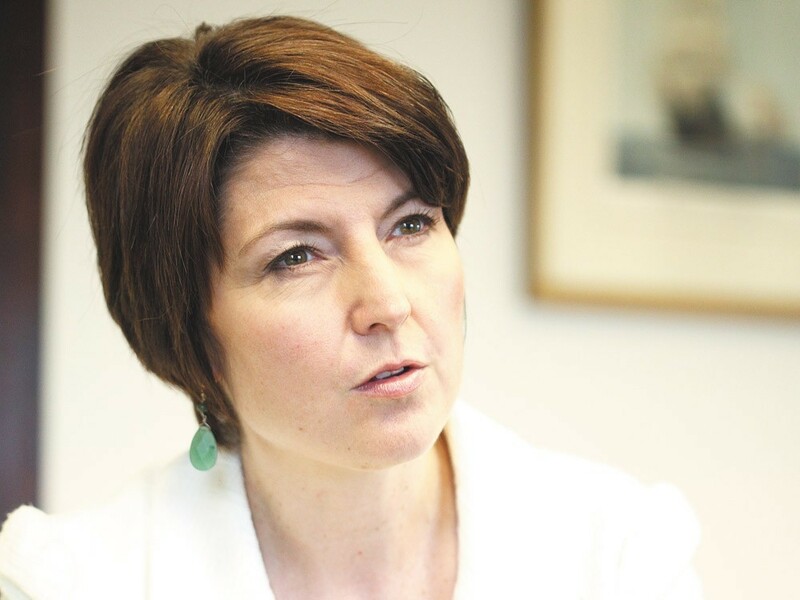 Rep. Cathy McMorris Rodgers and her opponent, Lisa Brown, agree on this much: The tariffs that Donald Trump is pursuing would be awful for Eastern Washington. Tariffs, make no mistake, are taxes. Specifically, they're taxes the government charges to businesses importing goods from certain countries. If you're a business that imports a lot of those goods from out of the country, that hurts you. And it can get worse: A country you export your goods to may level a retaliatory tariff, making it more expensive for people in those countries to buy those goods. And then there's retaliation to that, and retaliation to that, yadda, yadda, yadda, and then you've got a trade war going. And that's bad. And it's really bad for Washington. "I come from Washington state," McMorris Rodgers said in March on Bloomberg TV. "It's the most-trade dependent state in the country. Forty percent of the jobs of Washington state are dependent on trade." But statements are one thing. Action is another: Faced with a president with powerful authority to make and break trade deals, what do you do? Lobby behind the scenes? Go on TV and condemn it? Wear a T-shirt? Or do you try to pass legislation to constrain the president's authority? That's exactly what Sen. Bob Corker, a Republican from Tennessee, is doing. Trump has been claiming "national security" as the reason he's leveling tariffs on the European Union, Mexico and Canada. Corker's bipartisan bill would require congressional approval any time Trump — or a future president — wants to restrict imports for "national security" reasons. So would Rep. Cathy McMorris Rodgers support that bill? Perhaps, says McMorris Rodgers press secretary Jared Powell. But because bills can change, she's not making a commitment. "She supports most of the provisions in that bill," Powell says. He says that McMorris Rodgers, who has spoken about a desire to return more power to the hands of the Legislature, wants Congress to have more of a say in trade negotiations. "She wants to reverse course on these tariffs," Powell says. "That’s going to take legislative action or it will take convincing the administration to walk back on it. If they were to change their mind it would be the easiest solution." But McMorris Rodgers' opponent, Lisa Brown, is skeptical that the congresswoman actually ever would vote for a bill that Trump wouldn't sign. She points to a statement from Speaker of the House Paul Ryan on Corker's bill. “You’d have to pass a [bill] that he would want to sign into law and that would be what it would take,” Ryan said. Under Obama, both Ryan and McMorris Rodgers were more than happy to push forward bills — like the repealing Obamacare — that were doomed to be vetoed by the president. But they haven't shown the same panache for defying a president in their own party. So I posed that question to Powell: Would McMorris Rodgers be willing to vote for trade legislation that the president would try to veto? "That's hard to say. She wants the tariffs to stop," Powell says. "She’s open to all options... Her goal is to protect farmers and stop these tariffs." Powell promised to get a clear answer next week. We'll update the blog then. Brown, like McMorris Rodgers did not give a full-throated endorsement of Corker's bill, but was generally supportive of the idea behind the legislation. "I do believe that it would be appropriate for the Legislature to reassert more of its role in international trade," says Brown. "I think that’s especially true under this administration." Meanwhile, neither of Washington's senators had signed on to Corker's bill yet, but they haven't been opposed either. Patty Murray, who has weathered political backlash for having been among the more free-trade supporting Democrats, said she was open to a similar bill. "Sen. Murray shares Sen. Corker's concerns about Trump's reckless action in recent days, and how it will affect families and businesses in Washington state and across the country," says spokeswoman Kerry Arndt. "While she isn't currently a co-sponsor of his particular piece of legislation, she is in discussion with Sen. Corker and a number of other members who are exploring the different options to rein in abuses of Section 232." Sen. Maria Cantwell's team, meanwhile, said that she's looking at the legislation, but declined to say much more than that. "Sen. Cantwell has concerns about the Trump administration's current approach to trade and tariffs," Cantwell spokesman Bryan Watt says. "With the legislation just being introduced, she is talking with stakeholders and evaluating the legislation." In an interview last month, McMorris Rodgers named trade when asked which topics she most passionately disagreed with her party on. "I do not support the across-the-board tariffs the president has floated as far as aluminum and steel are concerned," McMorris Rodgers says. Instead, she says, any tariffs should be focused on countries that are involved in unfair trade practices involving things like intellectual property violations and exporting goods at artificially deflated prices. "Make sure that we're focused on the bad actors and not jeopardizing the important trade relationships we've developed with allies," McMorris Rodgers says. She notes that she's spoken out in opposition, but she also says she's lobbied key officials behind the scene as well. "Most recently, I sat down with Larry Kudlow, who the new economic advisor, and talked to him personally," McMorris Rodgers says. "He assured me that no decisions have been made and everything is on the table. We are continually having these discussions with the administration." McMorris Rodgers says she's talked with Trump too. "I've talked to the president personally about the importance of these trade agreements," she says. "And what he told me was that, he prefers the bilateral trade agreement. And I said, that's fine, we just need to get them going." But Brown is dismissive of the idea that McMorris Rodgers' lobbying efforts have borne any fruit. "I guess I have to say thus far if she’s working behind the scenes, we’re not seeing the positive results," Brown says. Lisa Brown got her degree in economics. She used to teach it. "We do talk about that in Econ 101," Brown says. "Although tariffs can be a tool in trade negotiations, they often simply spark retaliatory tariffs. And then everybody is worse off. Then it can cause a real economic downtown." In particular, Brown is concerned by Trump's choice to pursue trade policies in a "very unpredictable and unilateral way." He's left questions like, what's going to happen with U.S. tariffs? Will Trump decide to pull out of NAFTA? Businesses across the world rely on predictability, the argument goes, and uncertainty can be paralyzing. Similarly, she's critical that Trump pulled out of the Trans-Pacific Partnership trade without anything replace it. If Brown wins, of course, she'd be facing at least two years of Donald Trump. Even if Democrats win the House and the Senate, he'd still be able to veto most bills. But Brown still believes she'd more effective than McMorris Rodgers in that environment. "I do have experience in working across the aisle on complicated multifaceted issues," Brown says. She also points to her economics experience and says she'd be eager to serve on the House Committee on Agriculture. She says that local farmers are particularly worried about the impact of Trump's trade policies, which threatens to sweep off the table years of hard work. "Those Asian markets took decades to develop," Brown says. "We are at a disadvantage now." 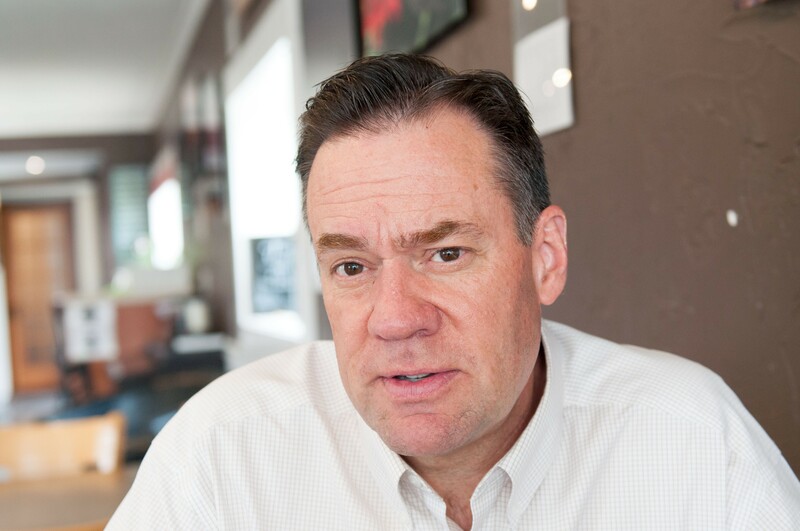 The Inlander also asked Idaho U.S. House candidate Russ Fulcher about how he felt about Trump's approach to trade policy. Are "trade wars good and easy to win?" Yet, he alo notes, that as a former executive at Micron, his company was a beneficiary of a tariff leveled against Japan, a country that had been subsidizing its electronics industry so much that the future of American electronic companies had been put in jeopardy. “There was no possible way that an American company could compete fairly when governments are subsidizing competitors,” Fulcher says. “If our producers are subjected to a playing field that is not fair, then that’s something we need to take a look at. But that’s the exception, it’s not the rule."